Alio Decor can works alone or with Alio Pro. 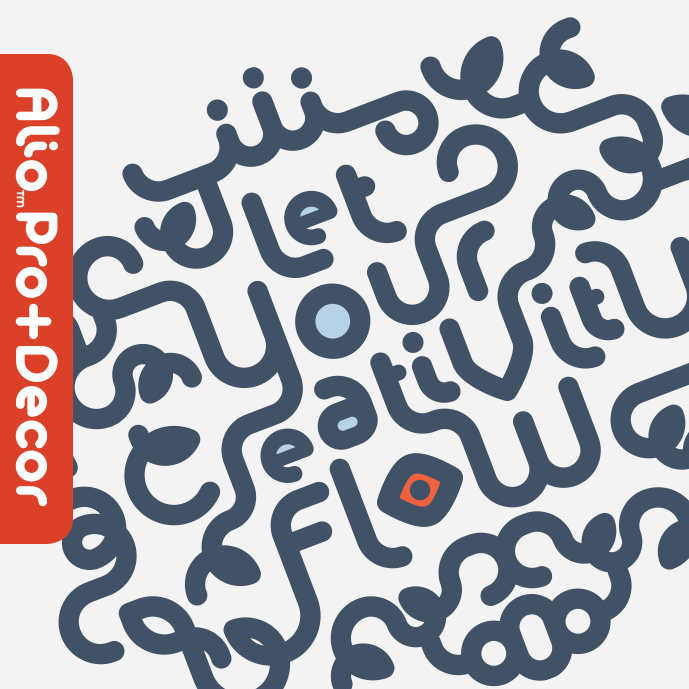 Alio Decor is more than just a companion decorative set of Alio Pro. You can have fun creating flourish designs such as the one shown here. Why not? Let your creativity flow. Alio Decor works really well with Alio Pro. Together, you can create stunning flourish designs or unique type treatment to your projects. STANDARD LICENSES INCLUDE: 12 OTF and 12 TTF files of Alio Decor Black, Black Italic, Bold, Bold Italic, SemiBold, SemiBold Italic, Medium, Medium Italic, Regular, Italic, Light and Light Italic. WEBFONT LICENSES INCLUDE: 12 WOFF, 12 WOFF2 and 12 EOT files of Alio Decor Black, Black Italic, Bold, Bold Italic, SemiBold, SemiBold Italic, Medium, Medium Italic, Regular, Italic, Light and Light Italic. Don’t need the whole family? No problem. Choose from 12 styles of Alio Decor.